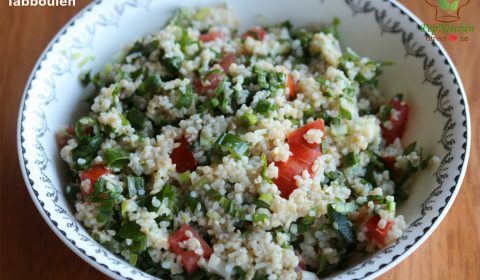 Tabbouleh is a vegetarian salad made from broken wheat (bulgur, dalia or fada), onions and tomato. 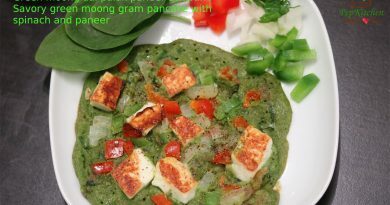 It is flavored with fresh parsley, mint and sesame seeds. The dressing is made with simple ingredients such as lemon juice, olive oil and salt. It is an integral part of Lebanesse mezze served in Lebanese cuisine. 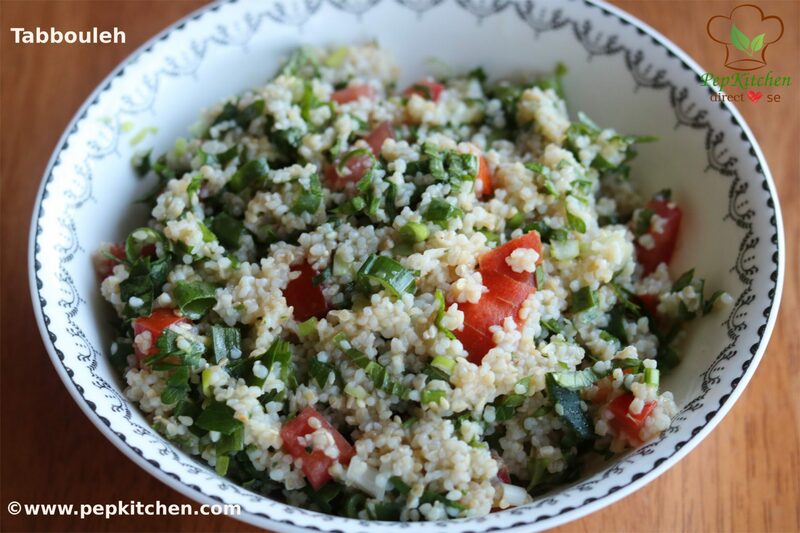 Tabbouleh is also known as tabbouli or taboulah. Tabouleh is served along with other meze dishes such as falafel, pita bread and different dips such as hummus, baba ghanoush or muhammara (roasted capsicum and walnut dip). This salad can be enjoyed as a one meal dish and is good for vegans!! 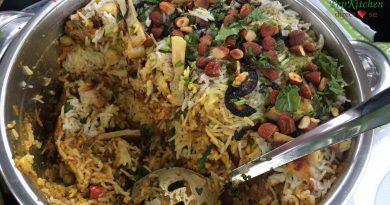 It is a perfect dish to be carried along for a pot luck or picnic. The salad tastes good when chilled and hence make it earlier and refrigerate for at least 2-3 hours before serving it to your guests. 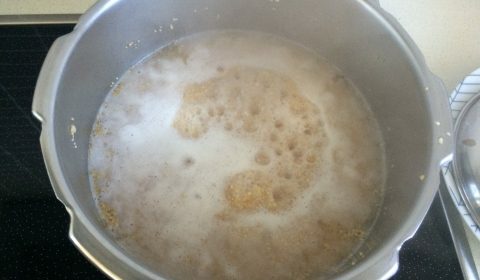 Broken wheat is cooked quickly and hence do not overcook it. It should not be cooked till mushy. 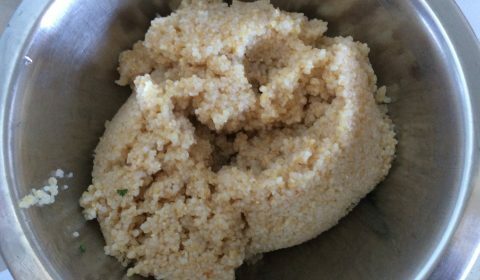 Swap broken wheat with couscous or quinoa for a variation. You can also add cooked pasta in place of broken wheat. 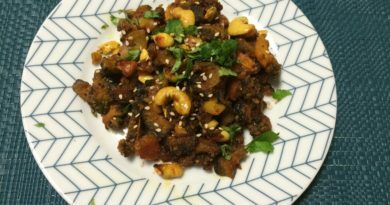 Friends do make this refreshing salad and share your comments with me. 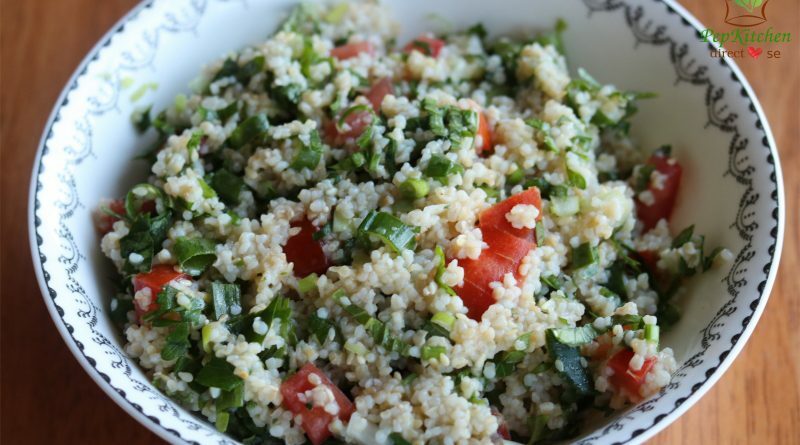 Tabbouleh is a vegetarian salad made from broken wheat (dalia or fada), onions, tomato. It is flavored with fresh parsley, mint and sesame seeds. 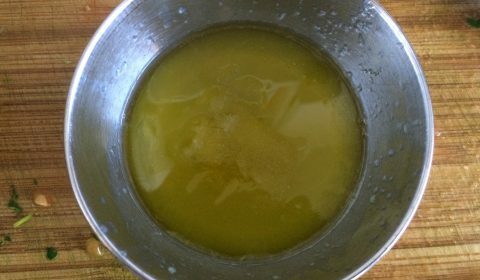 The dressing is made with the simple ingredients like lemon juice, olive oil and salt. It is a integral part of Lebanesse mezze served in Lebanese cuisine. In a broad pan boil around 2-3 cups of water. Add broken wheat and cook for 10 minutes or until tender. Drain and pour cold water over it to stop the process of further cooking. Drain and keep aside. 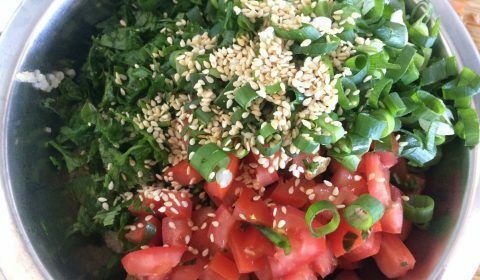 In a bowl add add chopped tomatoes, spring onions (both white and greens), mint leaves, parsley and sesame seeds. In another small bowl prepare the dressing. Take olive oil and add lemon juice and salt. Whisk it well. Add the cooked and drained broken wheat to the chopped vegetables and mix well. Pour the prepared dressing over it and toss well. The tabouleh salad is ready. Refrigerate for 2-3 hours before serving and serve chilled. 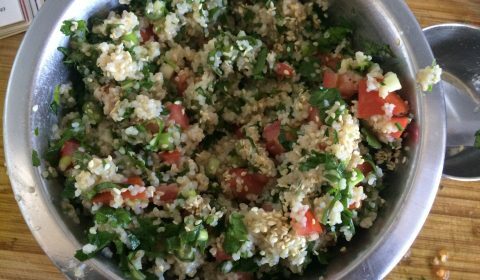 Serve the refreshing and chilled tabouleh. A very healthy and refreshing salad.